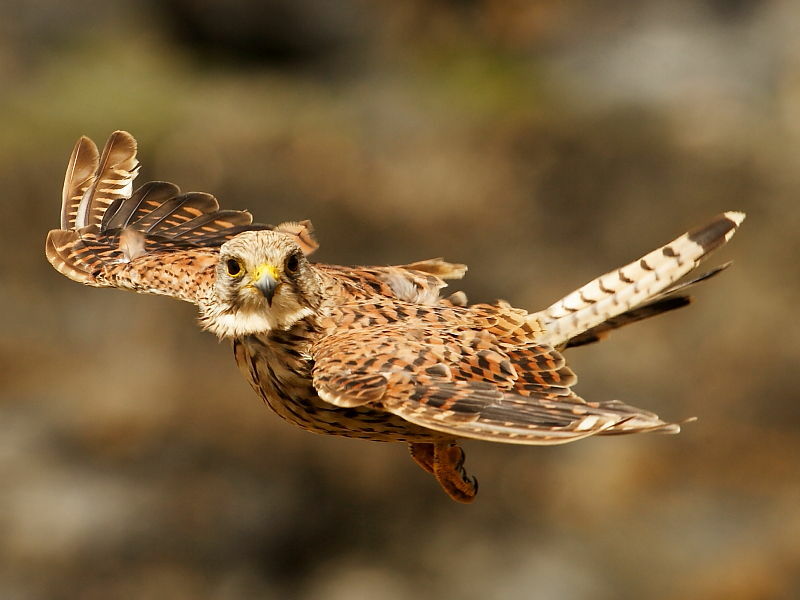 In terms of distribution then the Kestrel is the commonest raptor found in the UK. It is an extremely adaptable bird that is equally at home in both urban and rural habitats. Small mammals such as voles, mice and shrews make up a high percentage of its diet and these can be found in a diverse range of habitats. In towns and cities the kestrel can find food on small areas of wasteland or on grass verges and the scrubby grassy areas bordering motorways provide a ready source of food. The bird photographed was hunting on the edge of sea cliffs at Godrevy Point on the north Cornish coast and could often be seen dropping on to the steep grassy cliff sides after insects and voles. The only areas of the country where it does not thrive is in heavily wooded areas where it is unable to hover and see its prey. The numbers of another British bird of prey, the Common Buzzard, have increased dramatically in recent years and the numbers of breeding pairs is similar to those of the Kestrel but it is still thinly distributed in the arable areas in the east of England although spreading.